For the last month of the Play On! 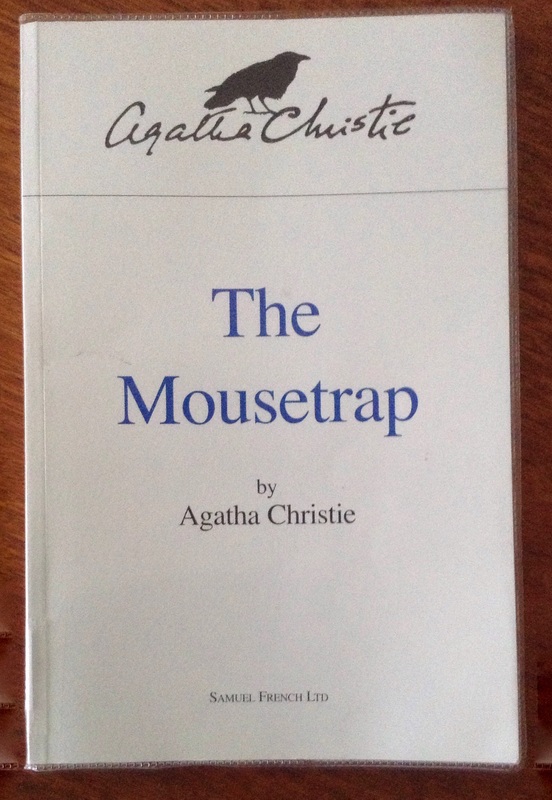 Challenge, you could pick any play you wanted, I decided on The Mousetrap because it’s the longest running play in the West End and I wanted to read why. Plus, I hoped it wouldn’t be too serious – something that couldn’t be said about last month’s choice of Uncle Vanya. I got exactly what I wanted, which was great. The play opens with a young couple nervous about receiving their first visitors at their new guesthouse. They have no real idea what they are doing and seem to have missed many of the formalities, like asking for references. Their guests are four strangers, five if you include the mystery man who arrives in the middle of the snow storm that eventually leaves them housebound. At the same time, the radio is reporting on a murder in London. A woman has been strangled. The setting and story are very much what I expect when I think of Agatha Christie. A country house, a mix of characters – all with something to hide, a murder anyone could have committed and lots of red herrings. It was very “Colonel Mustard in the Library with a lead pipe” and I loved it. Plus there’s the twist in the tale you know is coming and are scratching your head trying to figure out (audience members are asked not to share this and I won’t either, all I’ll say is I didn’t figure out who was guilty). The Mousetrap is fast paced, with lots of people coming and going, meaning you don’t know if they really going to the kitchen or up to something else, and easy to read. It didn’t take a lot of brainpower to read and I hadn’t expected that. I had expected to be entertained and I was. Really enjoyed it. I’ve never read this in play form but I’ve read the short story (or is it a novella?) countless times. It’s one of my favorites! I haven’t read much Christie and always feel I should. Maybe I should try a short story (I am never sure when it becomes a novella either).